Sometimes, the things we most need to talk about in life are the hardest to put words to. That's where art comes in! Making meaning through art can build resilience, give participants a respite from the oppressions of the world, and give voice to previously buried experiences. Making art in community with others is even better! With funding from ONE Minneapolis, RECLAIM! is working with Kulture Klub Collaborative to host a 4 month Artist-in-Residence program of art workshops. Located at RECLAIM! every Thursday from 4:30-6:30 (with food served at 4pm! ), they are FREE and open to queer and trans youth ages 13-26. 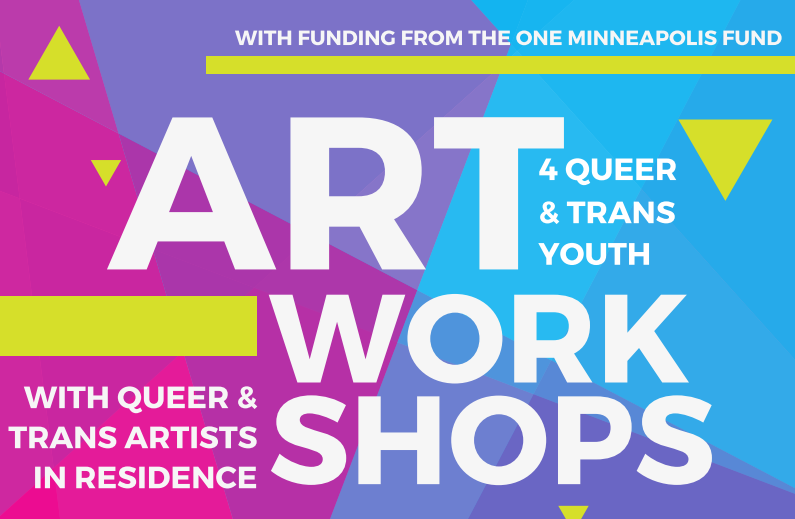 The artist-in-residence model helps give the youth we serve access to acclaimed, professional local artists, all of whom are queer and trans themselves. From mixed media, to spoken word, to fiber arts--youth will be exposed to a wide variety of art materials in a LGBTQ-affirming, low-risk way. Even (and especially!) if youth don't identify as "an artist," they are welcome to come try out new materials and ideas with the help of these artists.